It was through disappointment in one sport that Cindy Klassen found tremendous success in another, ultimately becoming one of Canada’s most decorated Olympic athletes. At 17 years old, Cindy tried out for the 1998 Canadian Women’s Olympic Hockey Team but was not chosen, and that’s when she followed her parents advice and traded in her hockey skates for speed skates. In 1999 she moved to Calgary to chase her Olympic dream. She quickly climbed the ranks and in 2002 she won her first Olympic medal, a bronze in the 3000 metres at the Salt Lake City games. 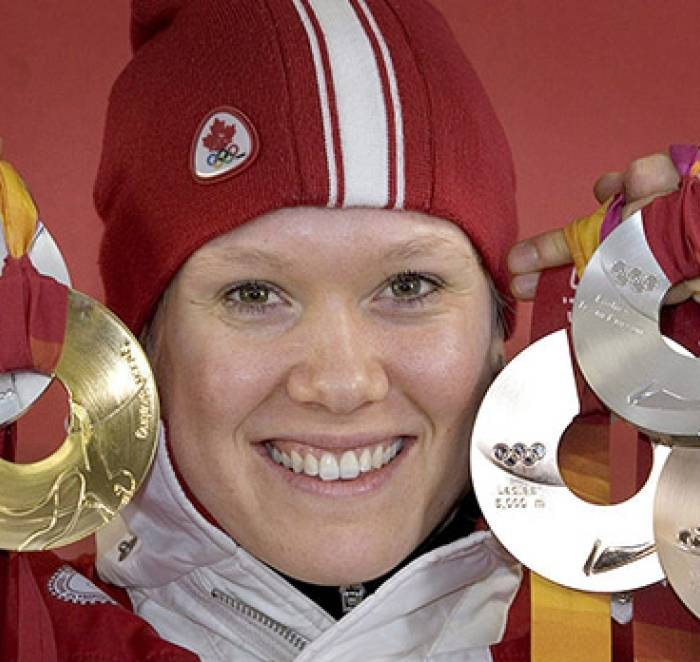 Four years later Cindy would make Canadian Olympic history, becoming the only Canadian to win 5 medals in a single games, claiming a gold, two silver and two bronze in Turin. This earned her the prestigious honour of being named Canada’s flag bearer for the closing ceremonies. Cindy enjoyed equal success on the world cup circuit, winning 115 international medals in her 15 year career, including 46 gold. Cindy was named Canada’s Female Skater of the year four times for long track speed skating. Cindy has passed on her values of strong character and work ethic throughout her career. She has worked with numerous charities to advance women’s sports in other countries. She is a role model on and off the ice, working to provide girls and women opportunities to participate in sports.